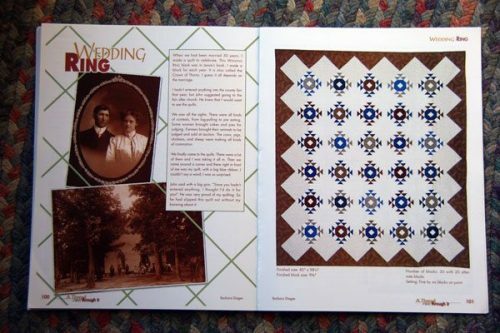 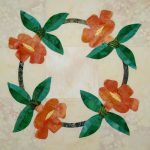 Enjoy viewing four quilts from A Thread Runs through it, including the cover quilt. 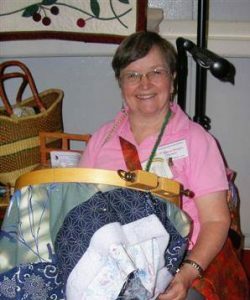 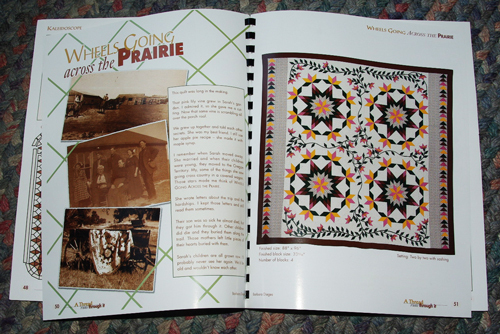 Wheels Going Across the Prairie is the cover quilt made with pieced stars using strip piecing techniques and appliquéd vines. 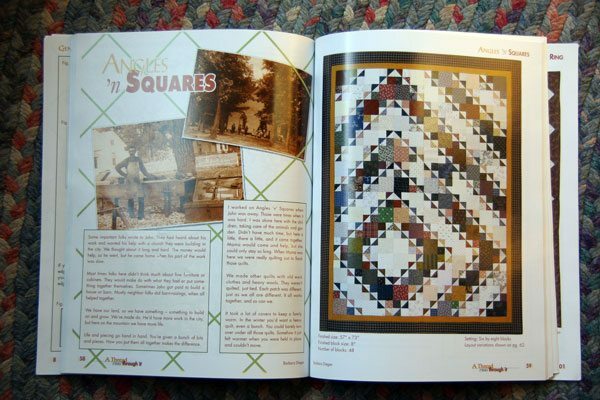 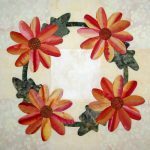 Angles ‘n’ Squares is an easily pieced quilt that is shown with several different settings. 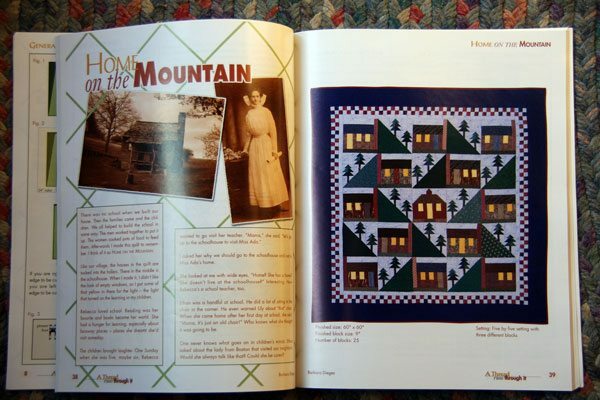 Home on the Mountain is a fun pieced quilt with an original block based on a picture I took of a log cabin in the mountains of Tennesee. 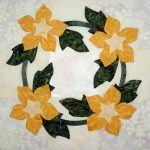 The original mountain and trees block uses quick piecing techniques, and no triangles were cut to make these blocks. 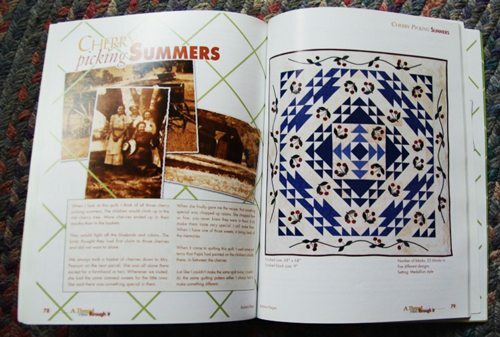 Back to the Books page.